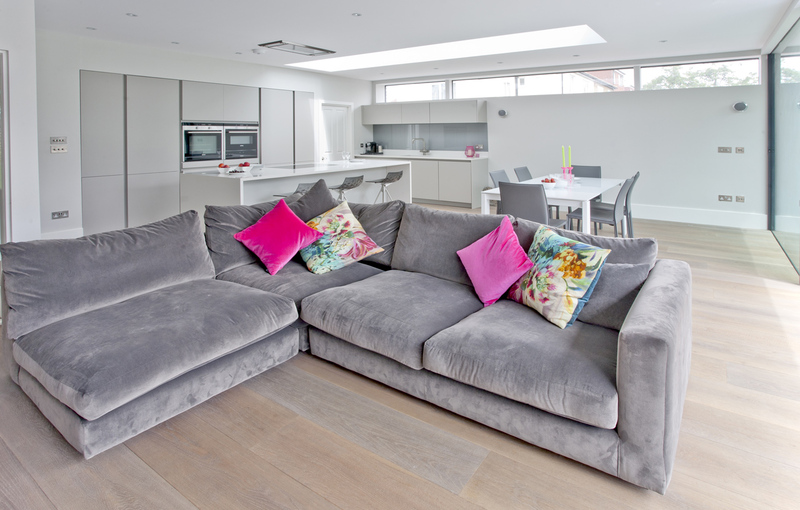 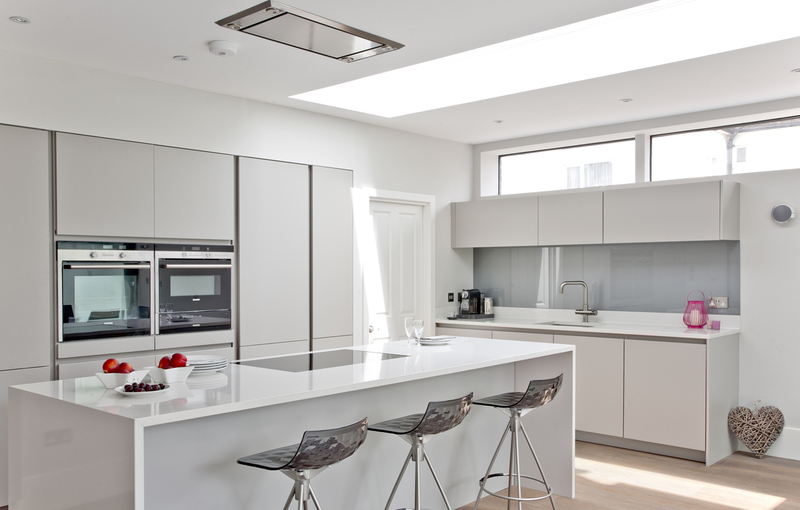 With the growing trend for living spaces to be designed around people’s lifestyles, this family wanted to create a contemporary kitchen space for cooking that offered ample storage and which would be fully-integrated into the open-plan living space without dominating it. 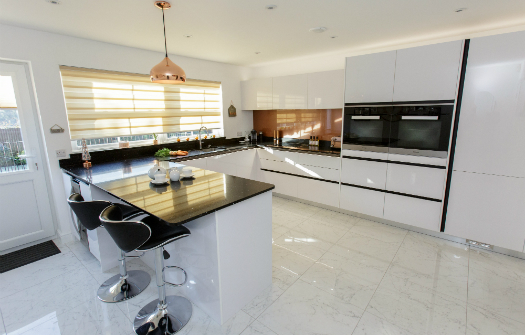 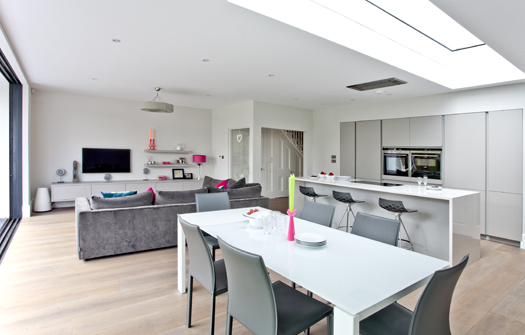 We used subtle grey and white matt handleless units which were incorporated into the overall kitchen design scheme. 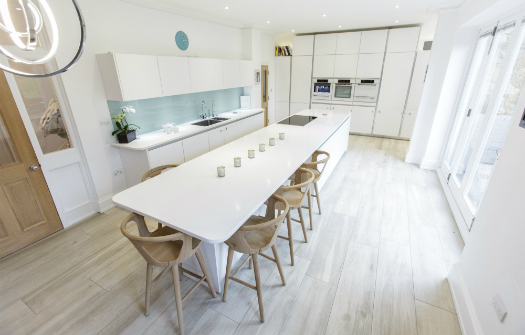 We added a wall of full-height units with integrated appliances to create the backdrop of the design, then added a sleek island which provides ample storage, houses the hob and provides a focal place for sociable seating that blended into the overall room layout. 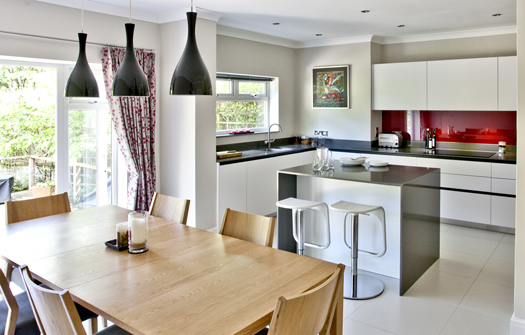 The sink and coffee area are positioned quietly to the right hand side of the room. 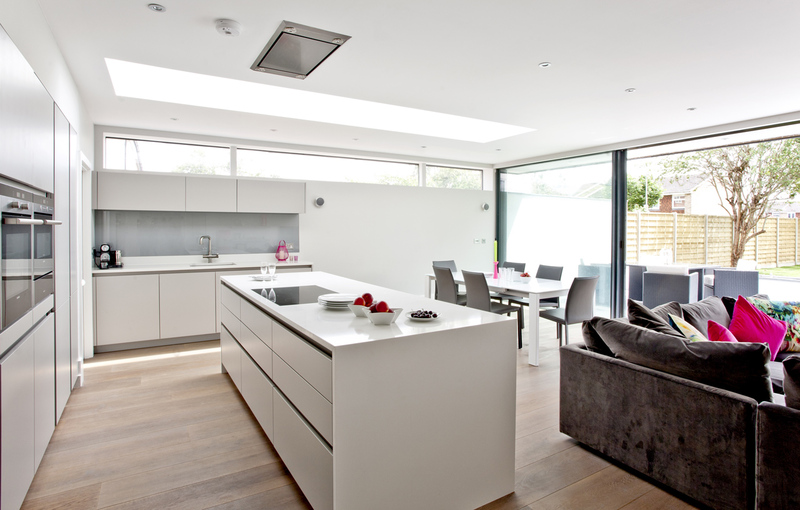 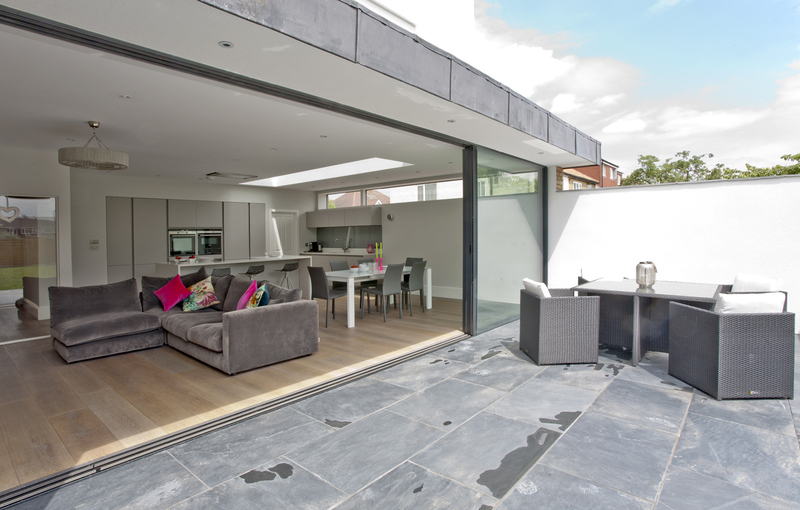 The whole layout allows the family to flow easily from one zone to the other – kitchen, dining, garden, relaxing.